NEW YORK, NEW YORK – April 2, 2019 – GameChange Solar today announced that the solar market is now growing at a steady pace due to Solar PV having achieved a cost of energy production on par with the lowest cost alternative technologies in the United States. This increase, combined with the rapid growth of GameChange Solar’s market share within the industry, has resulted in the company needing to add substantial manufacturing capacity. 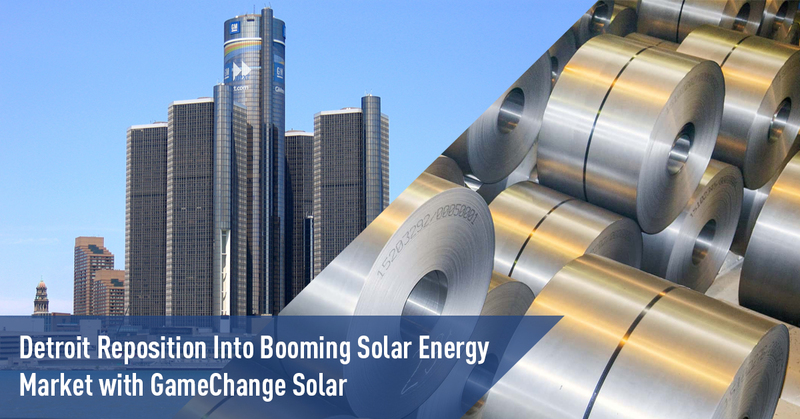 GameChange Solar selected Michigan as a premier location and has recently added 6 new manufacturing lines in the state, bringing the total to 12 lines in two facilities, one in the Detroit area and the other in western Michigan.